I'm honored to be the first stop on Chelle Ramsey's blog tour! She is sharing an excerpt from her latest book BeJeweled: The Flight of an Angel and I'm sure it will be just as amazing as her other books! She will be touring lots of great authors sharing wonderful tidbits about the book! And be sure to follow Chelle on her book tour now through June 5th. Tomorrow she will be visiting Pamela Kay Brown! Let's take a peek at the excerpt! An avid reader since her primary years, Chelle saw books as an escape mechanism. Excited by the worlds, and characters that could be created with a touch of the imagination, she began writing her own stories at the age of 12. The more enamored with storytelling she became, the more she wanted to create stories about the suffering, and hardships she saw others enduring, with one twist…her characters would rise above their adversities and limitations, but not always with traditional endings. 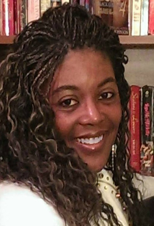 This busy wife, and mother of three, exchanged her Girl Scout Leader pins for her creative writing pen, as she began to focus on publishing her novels. In her spare time, when she isn’t writing, she enjoys reading mystery novels, watching the NBA, remodeling their home with her husband, and spending time with him and their children. Having received her MBA in Human Resource Management, she says she cannot wait for the day when writing becomes her full-time career. “If I can show my readers they are not alone, in dealing with their challenges, and that they can rise above their limitations, I have achieved my goal,” Ramsey says. 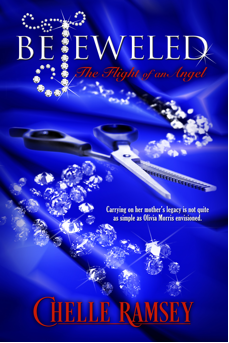 Thank you for introducing your readers to Bejeweled: Flight of an Angel by Chelle Ramsey. Thank you for hosting me on my tour, Shante. I am so excited that my first stop is here. I pray that your readers enjoy today's excerpt.